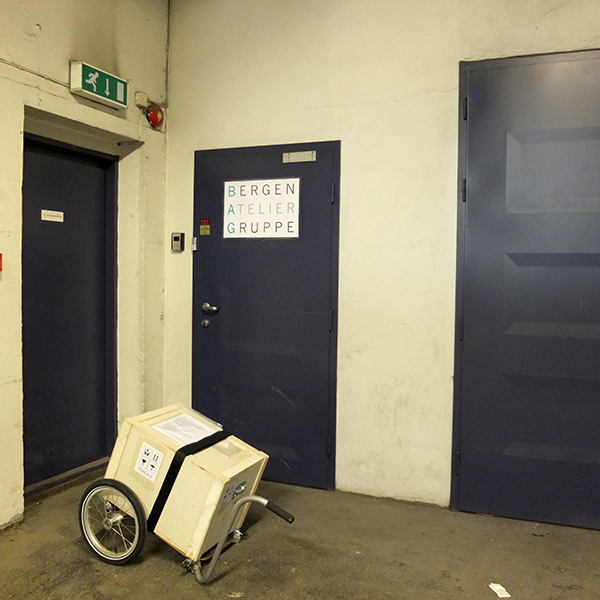 B-Open bokkunstgruppe is an informal group of artists who are make or are interested in book arts. The group was set up in 2013 after I held a book art related B-Open reading circle. The group have met in libraries and artists studios in Bergen, Norway and helped plan the Norske bøker exhibition. 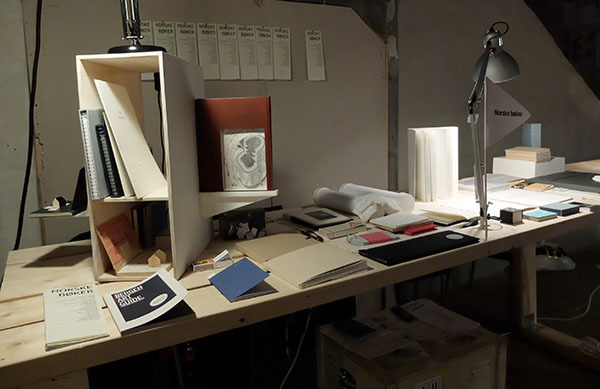 Norske bøker - Norwegian Books is a collection of 45 artist's books by 25 artists who are based in or have connection to Bergen. 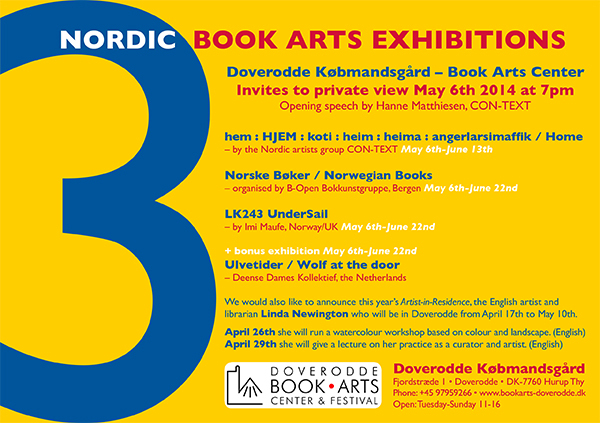 I was asked by Doverodde Book Art Centre in Denmark to put together this collection for their exhibition '3 Nordic Book Art Exhibitions' held in April 2014. 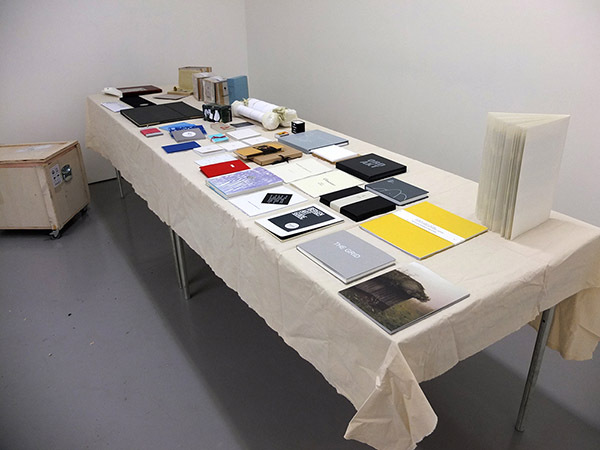 In November 2014 B-Open bokkunstgruppe took the collection to Bergen Art Book Fair (BABF) at Bergen Kjøtt. The collection packs neatly into a small wooden crate which was transported by bike to BABF. 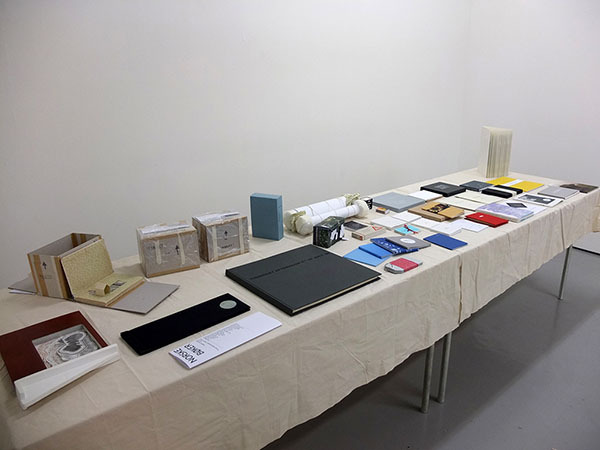 Norske bøker was exhibited at the Centre of Fine Art Research, at the University of the West of England, Bristol in Feburary 2015 and Bristol Artist's Book Event (BABE) at the Arnolfini on 11th and 12th April. Our participation to BABE was supported by the Norwegian Embassy in London, The Norwegian Arts Council and Bergen City Council. : Packing the collection - perfect for delivery by bike!